Joanna is a general commercial and civil litigator who works for a range of clients including, private individuals, partnerships, shareholders and companies advising on how to handle disputes. Joanna is well known for advising clients on how best to deal with a dispute whether that be through negotiation and mediation or through the Courts. Joanna is experienced in County Court and High Court cases (in Queens Bench, Chancery and Commercial divisions) including to the Court of Appeal. 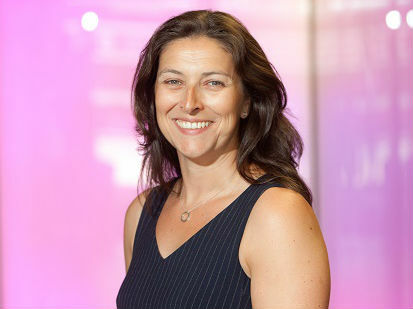 Joanna advises on breach of commercial contracts, breach of building contracts, financial disputes, professional negligence claims and partnership and shareholder disputes. Joanna also specialises in advising on Intellectual property issues including copyright, trade marks, design rights, passing off and breach of confidential information. She also advises on Injunction proceedings and Judicial reviews. She has been described as proactive, efficient and effective in her conduct of a case, and someone who is there for her clients throughout a matter providing a personal touch in a difficult situation. Joanna has a law degree in English Law from Leicester University and a Masters in Commercial Intellectual Property from Nottingham Law School. She has worked in Firms in Birmingham, London and Suffolk. Joanna is a keen skier, novice triathlete and regular runner having completed a marathon (raising over £1,300 for The British Red Cross), several half marathons and numerous 10km races. She is also a one-off property developer having renovated a Grade II Listed, derelict Stables with her husband, now home to her family including two young children and a dog. In any spare time that is left she enjoys reading and stand up paddle boarding. Successfully pursuing various claims for professional negligence involving advice from conveyancing solicitors and architects. Successfully pursuing claims in passing off and trade mark disputes. Successfully recovering land which had gone bona vacantia as a result of negligent conveyancing advice. Successfully settling a design right dispute for a client following the purchase of a manufacturing company.